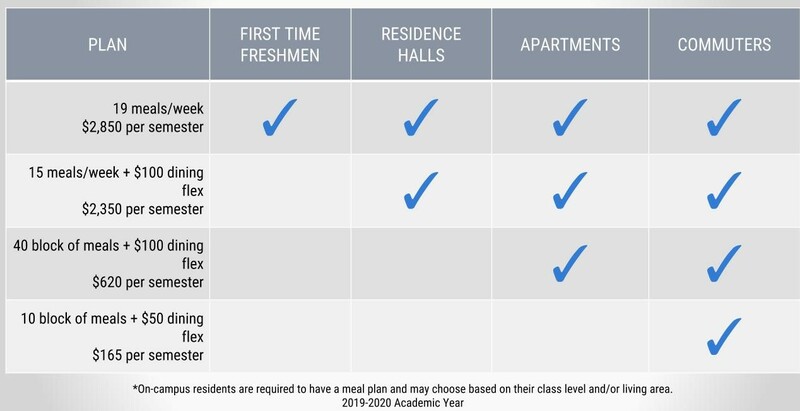 All campus residents are required to participate in a campus meal plan and must elect a plan from the list of available options corresponding to their housing assignment (see below). Exceptions may be made for medical reasons. William Jessup University Disability Support Services (DSS) office provides reasonable accommodations to assist college students with disabilities in having equal access to regular college programs and activities. Accommodations are determined individually for each student through an interactive process and are based on functional limitations resulting from a documented disability. For more information, please contact DSS@jessup.edu. Food service will not be available during Thanksgiving, Christmas break, or spring break. 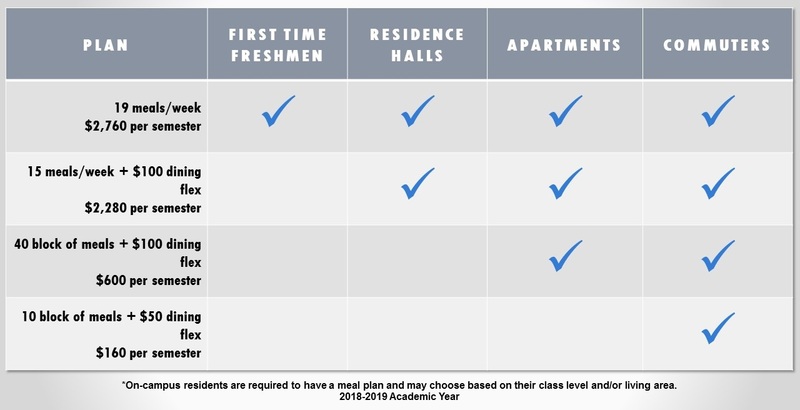 Residents will receive the amount of their chosen meal plan as credit on their University Student ID card to be used for the purchase of food with Bon Appetit starting with dinner on the Sunday before classes begin. The student may make use of the Bon Appetit block meals or flex dollars to pay for guest meals. All credits towards weekly meal plans will be voided on the last day of finals at the end of each term. All credits towards flex plans will be voided upon the close of the Academic year. If you have completed a housing or commuter application and would like to change your meal plan do so here.